After talking to Zeiss about the camera in the Nokia Lumia 1020, we asked them if they could send us a lens diagram. 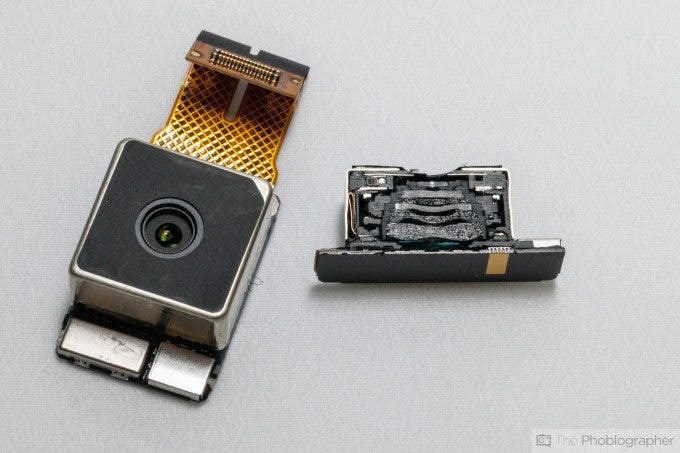 However, they did something even better: they cut the camera in half and showed us exactly what it looks like on the inside. Here you can see the entire cutaway of the lens which shows the plastic elements, one glass element and the sensor at the back. Pretty cool, huh? You might also want to check out our first impressions of the snazzy new cameraphone.